Saturday, April 19th, 2PM. Boathouse Gladness, 143 3rd st, San Rafael. Doors open at 1PM! Street parking is available. Dan and Julie Fontes are opening their home arcade on the water for pinsters. This tournament will be played on older machines (EM) only-20+ machines). Get ready for some 2 inch flipper action! Half of the tournament proceeds will go to Fisher House Foundation, an organization funding the construction of family lodging facilities near military hospitals. 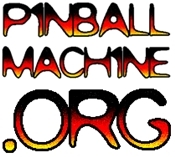 Full World Pinball Player Ranking (WPPR) points. Whole Foods, United Markets, Trader Joes and many others are nearby. Side Tournament: Double elimination, matches best out of 1. Will be played after the main event. Cost to enter main tournament: $20, out of which half goes to the pot, and half to Fisher House. Side: $10, same deal as main. The prize money will be distributed as follows: 1st place 50%, 2nd 30%, & 3rd 20% for both tournaments. I was one of the officials that decided on this ruling. If you have a problem with this ruling, address it to ME. Anonymous whining doesn’t get you anywhere on the Internet. Also, I think Jeffrey can fight his own fights. I don’t think he needs a crony to do his arguing for him. But like others have said, the organizer of the tournament said no practicing. Jeffrey was clearly practicing in between turns. Seems pretty cut and dried to me. Again, if you have a problem, let’s take it out of the public forum and talk to me directly. Why be anonymous? If you stand behind your opinion put your name on it! I didn’t include it because it was a repeat of your previous posts. Bowen’s experience lends an additional perspective. I thought the topic was closed and no further posts were to be accepted ? Was that why you omitted my last post but preferentially included Bowen’s ? I’m sure Jeff just decided to test the tilt out of the blue for the very first time in his long tournament history, since, of course it had never been done in EM tournaments before. I am trying to remain anonymous since I am scared of retribution for having a dissenting opinion. I have been playing competitive pinball tournaments for 20+ years and have never once seen a player do this, nor have I seen it recommended in any forum. If I saw this occur, I would raise it immediately with the tournament director. The comment that there is a long history of events where this machine-tilting is allowed does not hold water. Other rules that existed 20 years ago, such as the allowance of death saves and of playing one-ball multiballs, have since been changed in favorable ways. More importantly, shame on whoever it is who comes here bashing players and organizers without even having the guts to say who they are. Your behavior harms the community deeper than any “rulings error” can. So you admit this is ambiguous. Where we disagree is that the player doesn’t have a responsibility to then clarify it. I guess in your world, in all cases of ambiguity, if the tournament director doesn’t specifically clarify it then the player gets a free pass. Good luck with that. And yes, I contacted PAPA and others because it’s always good to get a second opinion. You seem to think it’s admitting something that validates your point. Pretty funny (and telling) that you turned that around into an attack, particularly when you obviously did the same thing by checking with IFPA. This conversation, both here and on Facebook, has been very helpful, but now I think it’s just spinning wheels. Unless someone has a new insight, no more comments will be accepted on this topic. Yes given that there is a long history of tournaments where this was not considered “practicing” it should have been obvious that this was now considered practice. I noticed that you did not disagree that the IFPA and PAPA have different stances on whether this is considered practice. The IFPA doesn’t consider this practice. So there is ambiguity here. The fact that you actually contacted a PAPA representative about this shows that this is not clear cut. >So again, I submit the player has a responsibility to know when they’re pushing the lines. I do run IFPA sanctioned events utilizing these no practice rules. Please don’t lose any sleep over that fact. What I would expect from a “world class” and “highly experienced” competitor in that situation, is to have the tact to know that checking tilt in that fashion may not be kosher and to ask first. No TD should be expected to bend the rules, especially when doing so gives someone a clear advantage, because they are a “name”, “experienced”, or “traveled”. Throughout this thread, there’s not been a compelling reason to rule the way the player checked the tilt as a legal practice situation, and “just because he was experienced/out-of-town/famous/not experienced enough to know better/in the 80’s/in the 90’s” are not strong cases. In either case, the brass tacks is if you and he, if this isn’t the same person, didn’t know better…well…now you do. Good luck at future events! Josh Sharpe and the IFPA do not set rules for tournaments outside of some basic guidelines, such as lead time, that they be open to the public, no split-flipper or team formats, etc. If you knew that, you would understand why your IFPA comments are making you look ill-informed. I did contact PAPA and another person who runs world class level tournaments. Both stated it was not allowed under their current rules specially for the illegal practice reasons already said over and over. As far as it being allowed in the past, I can’t comment on that because I wasn’t playing in the late 80s competitively. All I can say is when in Rome, do as the Romans do. You can assume some things to be standard in most tournaments run by experienced players. No bangbacks for example. But other minutia may not get their direct attention. That’s why you have broad rules which say “No practice”, and you make the player responsible to get clarification. So again, I submit the player has a responsibility to know when they’re pushing the lines. If they don’t have that sense, I’m not their parents. It doesn’t mean they’re automatically a cheater, it means they can take their lumps and not make the same mistake next time, or they can cry about it. But if they choose the cry option, I just tell them not to come back. Obviously you can run your tournaments however you wish. You should make sure then and clearly define what “practice” is in your rules. Anything defined as “practice” besides starting the machine and playing balls is not particularly obvious. Hopefully the tournament director had clearly defined what “practice” was in this particular case prior to the tournament starting. Since most tournaments, including those run by the IFPA, (contact Josh Sharpe if you don’t believe me), do not define this as practice, I wouldn’t expect it to be obvious to a veteran player like Jeff Neumann, since there is a long history of tournaments he participated in where this is not defined as practice. I sincerely hope that the tournaments you, Jonny, and the boathouse director run were not IFPA sanctioned. It was probably quite a lot of fun to come from out of state and get DQed under a rule that was not clearly defined until game time. Again there is no reason to expect Jeff to ask if this is OK given the long history of tournaments where this action was acceptable. In my events, practice is only allowed either pre-tournament or on games designated as being open for “screw around games”. Practice is not limited to coining up a game, hitting start, flipping flippers, and plunging balls. Any interaction with a table that allows you to manipulate and test a game play/design element is within the realm of “practicing”. Shaking an EM to see where the tilt is sitting is very clearly practicing. You are checking the limits and manipulations of a game play element during a non-practice period. As I understand this specific scenario (correct me if I am wrong): This was a three strikes, one-on-one, match play tournament. The offending player was player 2, with a match being played on an EM that only allows one player to play at a time. Player 1 had played his match game. Player 2 stepped up to the EM while it was in attract mode and shook the machine looking for the tilt limits. Only once he found it, did he coin up and play his match game. If that’s how it went down, player 1 is absolutely in his rights to call foul and player 2 should receive at least a warning. This is a game genre where being able to adapt to the playfield is a big part of the competitive element. Practice time is there so everyone can have a chance to test the quirks and limits of these machines before it is time to compete. It is not Player 1’s problem if Player 2 was unable to check the tilt on that machine at the appropriate time. It’s even more suspect if he did it after Player 1’s match game, yet before Player 2’s. 1) Hold up the tournament and allow every player to go shake the EM and check for tilt. Making the playfield fair for everyone (since Player 2 received additional practice time). 2) Take the machine out of the competition. Really, though? That opens up a whole new can of worms, of practicing on a game during the tournament becoming a strategy to eliminate games. 3) Strike/Red Flag/Kick/DQ/Warn/Spank/Whatever the offending player. TLDR: Don’t try to sneak in practice time, “warming up”, and testing game play elements, including checking tilts during attract mode, outside of designated practice time. In fact, just avoid interacting with the machines when the tournament has started and you’re not playing a match. Hopefully this was an innocent mistake on the offending player’s part and now we all know what is considered not okay amongst some of the TD’s out here (at least events that *I* run). Ok. And my point is that the player did not give it pause because in the many tournaments he has gone through since the late 80’s this sort of “practice” was permitted, and now, it is, without warning a DQ. Many EMs use a manual ball elevator. If the previous player tilted out, the next player could use the remaining balls to learn the plunge, which is also very important on EMs in addition to the tilt. My point is the game state is irrelevant. The core issue is being able to practice on the game. As such, the fact that an element of the game can be practiced when the game is in attract mode should have given the player pause to question whether or not it’s allowed, and at that point, the player has a responsibility to get clarification from the official if it’s not clearly defined in the rules. ok, so you are defining “warming up” as having the EM in “attract mode” when finding the tilt. That is, no game in progress, no game started with credit button, no balls in the ball plunger lane, match numbers on the backglass, and someone shaking the machine until the tilt insert is lit on the backglass.There was no plunge and flip because a game was never started. This was a final game which happened in front of the ref/score keeper. I guess language defining what “warming up” means needs to be in place. As this was not clearly defined in the boat house tournament, the player should not be liable for this ambiguity. If it is beyond your experience in the tournaments you run to have seen players do this, I don’t see this as Jeff’s problem either, as he has been going to tournaments well before 2009. I wasn’t there and don’t know the other player involved, but I do know Jeff Neumann and he’s a great guy. I wouldn’t suspect him of cheating. That said, I wouldn’t agree checking tilts between games is standard operating procedure. In my tournaments (and every other tournament I’ve played in) there is no warm-up on machines once the tournament starts unless I specifically say otherwise. Finding the tilt is a kind of warm up. To casual players it might seem like a little thing, but it provides the experienced player with extremely valuable information, especially on older EMs where tilt ends game. It’s one reason you want that higher seed in qual – you don’t want to be the tilt guinea pig. In footage of major tournaments, the commentators will take note of a player who intentionally moves the machine at the end of a house ball, specifically to find the tilt. Such a thing would be illogical if the player was already given that opportunity. Likewise, at some tourneys they have designated warm-up periods. I’ve never seen warm-up allowed BETWEEN games. Between ROUNDS? (i.e. going from one bank to the next, or quarter-final to semi-final), OCCASIONALLY, but again, far from the norm. Part of the issue is practical. There is limited staff watching a lot of players and games. One person says, “I was just finding the tilt”. Another person says, “I saw him plunge and flip a few times”. Someone is lying and if you didn’t see it it’s all hearsay. In the case of hearsay, you err on the side of safety and if the accuser was in the right, he walks away mad and the perpetrator just got an advantage for free. And worse, the accuser thinks “Since I can’t get caught, I’m doing that from now on.” Now you have two players who push the rules. What a hollow victory to get someone DQed for checking where the tilt is at BETWEEN games. This is SOP and I’ve seen it recommended in many forums. It is not Neumann’s problem if his opponent forgot to do this before his game. As long as you don’t press the credit button to check the tilt, there is no rule against this. Pathetic.